The approved ANDA is bioequivalent and therapeutically equivalent to the reference listed drug product (RLD) Polymyxin® B for Injection USP, 500,000 units/vial of Eurohealth International Sarl. Aurobindo Pharma has received final approval from the US Food & Drug Administration (USFDA) to manufacture and market Polymyxin B for Injection USP, 500,000 units/vial. This product is expected to be launched in Q2 FY16-17. Polymyxin B for Injection is an Anti-Infective used in the treatment of infections of the urinary tract, meninges, bloodstream and eye caused by susceptible strains of Pseudomonas aeruginosa. The approved product has an estimated market size of US$ 7.6 million for the twelve months ending February 2016 according to IMS. This is the 31st ANDA (including two tentative approvals) to be approved out of Unit IV formulation facility in Hyderabad, India used for manufacturing general injectable products. Aurobindo now has a total of 252 ANDA approvals (216 Final approvals including 10 from Aurolife Pharma LLC and 36 tentative approvals) from USFDA. 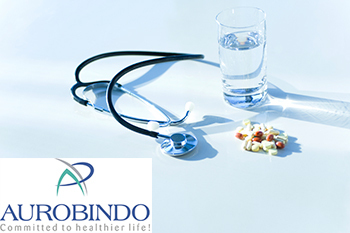 Aurobindo Pharma Ltd is currently trading at Rs. 759, up by Rs. 5.85 or 0.78% from its previous closing of Rs. 753.15 on the BSE. The scrip opened at Rs. 757 and has touched a high and low of Rs. 767 and Rs. 742.15 respectively. So far 1203218(NSE+BSE) shares were traded on the counter. The current market cap of the company is Rs. 44072.05 crore. The BSE group 'A' stock of face value Rs. 1 has touched a 52 week high of Rs. 891.5 on 30-Dec-2015 and a 52 week low of Rs. 582 on 25-Feb-2016. Last one week high and low of the scrip stood at Rs. 755.15 and Rs. 709.45 respectively. The promoters holding in the company stood at 53.9 % while Institutions and Non-Institutions held 35.24 % and 10.86 % respectively.